Spellbinding courtroom illustrations of the most talked about trials of the last 25 years are coupled with insider observations and case summaries in this unique collection of poignant moments from infamous cases. Sketches of O. J. Simpson staring passively ahead while a projected image of his battered wife looms behind him and the parade of beautiful call girls present at the Heidi Fleiss trial are brought to life in the 200 vividly colored images. Courtroom commentary from the artist includes highlights and lowlights, verdict summaries, and reactions to the verdicts from the trial participants. 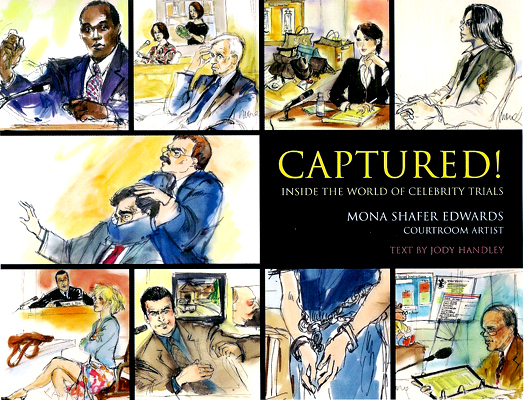 Major and minor celebrities' cases are covered, including those of Clint Eastwood, Snoop Dogg, Winona Ryder, Courtney Love, Dolly Parton, and Dustin Hoffman.